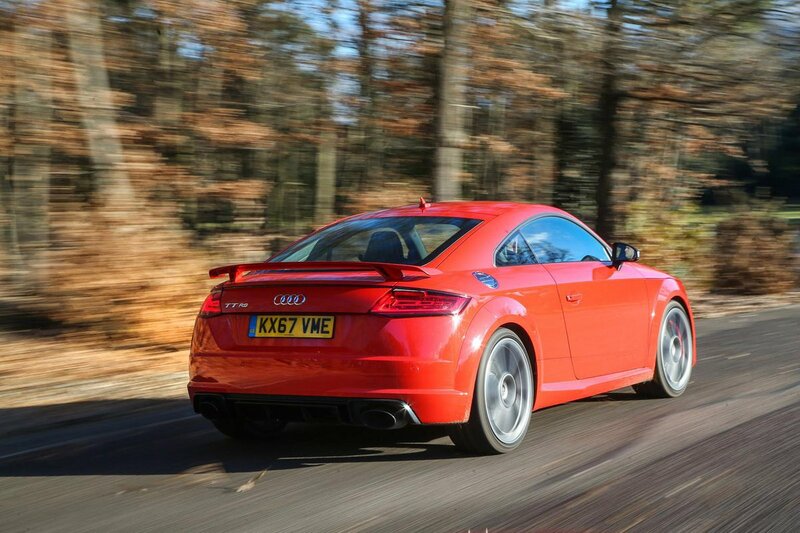 Audi TT RS Boot Space, Size, Seats | What Car? 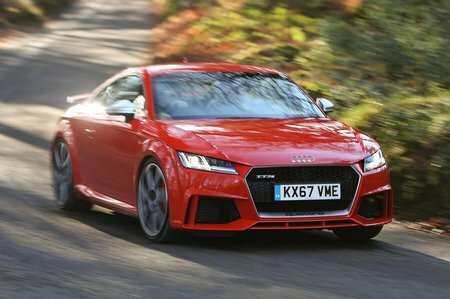 Both forms of TT RS give generous room for two adults in the front, and the standard heated electric sports seats (with adjustable lumbar support) are supremely comfortable, yet also supportive when cornering hard. The Coupé’s rear seats are best left to a couple of bags, though, because even a 12-year-old child will start to complain on a long journey. A BMW M4 is roomier is the back. The Roadster gets a small area for storing small soft bags, but nowhere to seat any extra passengers. 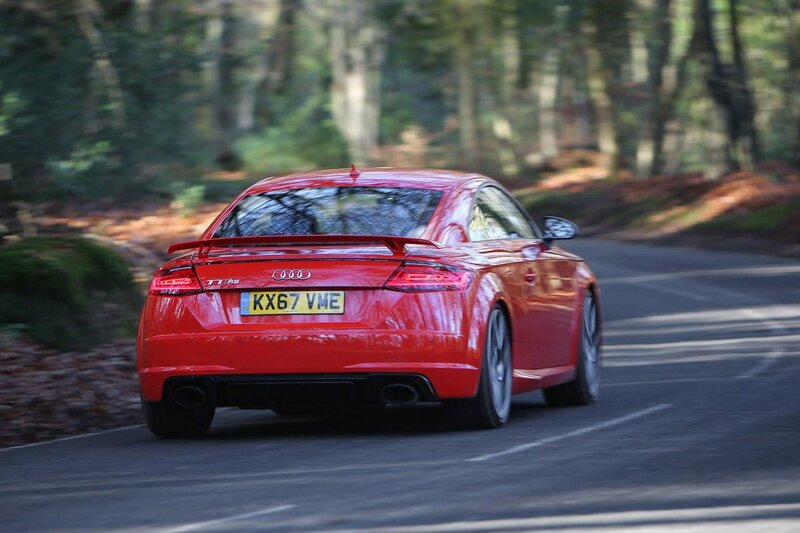 Behind the TT Coupé’s rear seats is a decently proportioned boot. It isn't particularly deep, but it is long and square, and, with the standard split-folding rear seats, it's more practical than you might imagine. It's definitely more so than a Cayman's boot, although an M4's is slightly bigger. The Roadster’s boot is smaller than the Coupé’s, has more awkward access and there are, of course, no rear seats to fold down in order to increase the space. However, it’s still big enough to take a couple of medium sized bags or one larger suitcase should you need to. The space doesn’t change size once the roof is down, either.